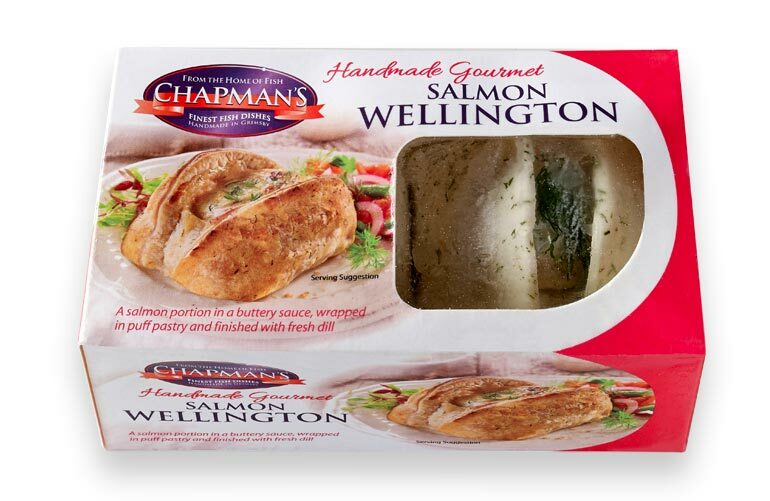 A puff pastry parcel with prime Salmon Fillet, in a creamy buttery sauce with Fresh Dill. A real winner! 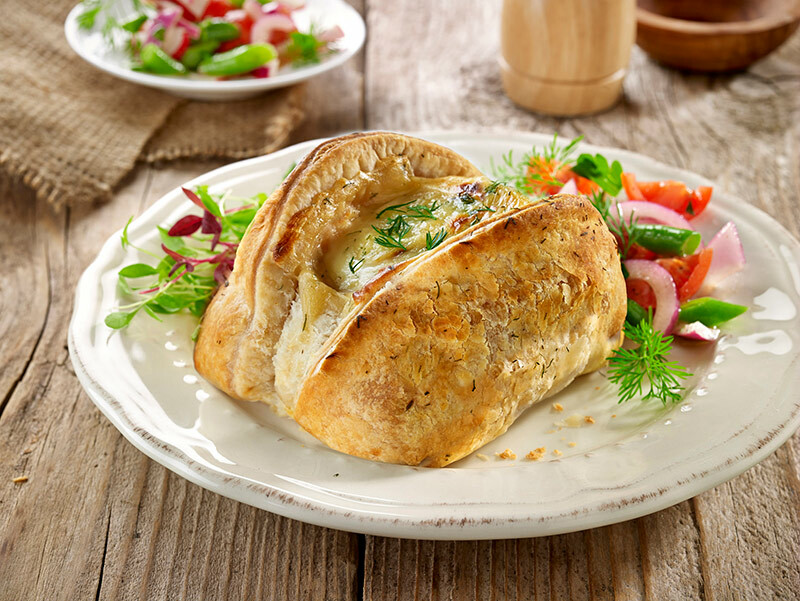 Pastry (39%) (Wheat Flour [ Wheat Flour,Calcium Carbonate, Iron, Niacin, Thiamin], Margarine [Non-hydrogenated Palm Fruit Oil, Rapeseed Oil ], Water, Salt ), Salmon (Fish) (36%) Béchamel Sauce Mix (Modified Maize Starch, Skimmed Milk Powder, Whole Milk Powder, Wheat Flour (Wheat Flour, Calcium Carbonate, Iron, Niacin, Thiamin ], Sugar, Non-hydrogenated Rapeseed Oil, Maltodextrin, Dehydrated Onion, Salt, Yeast Extract, Flavouring, Garlic Powder, Herb Extract, Spice Extract), Unsalted Butter ( Milk ) (3%), Milk, Dill.